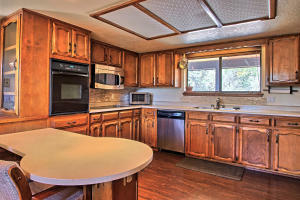 Fabulous Updated/Upgraded home Nestled on a gorgeous private heavily Wooded and Meadow 2 acre home site! 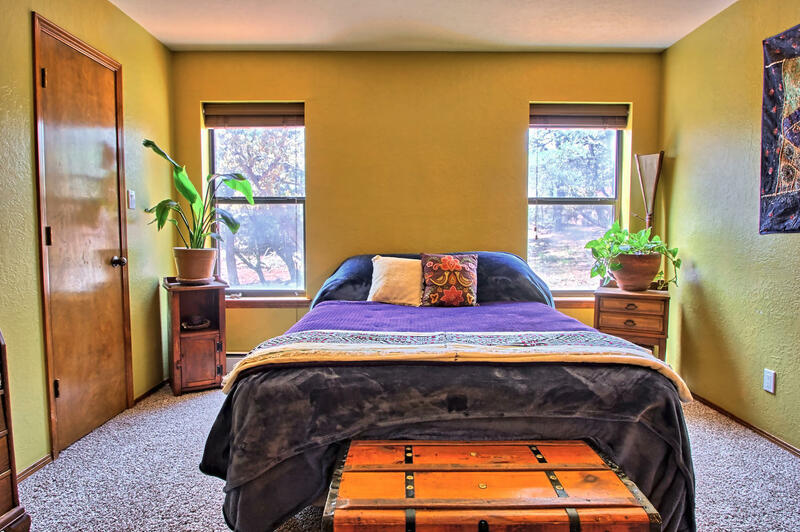 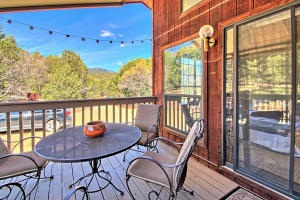 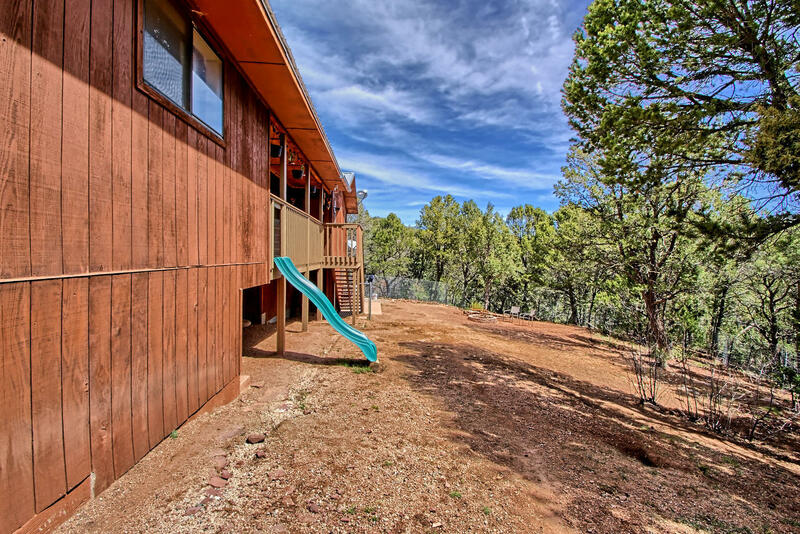 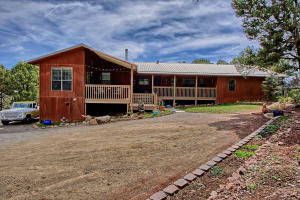 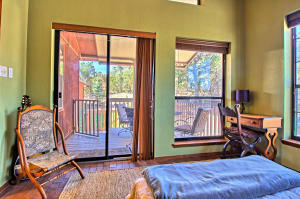 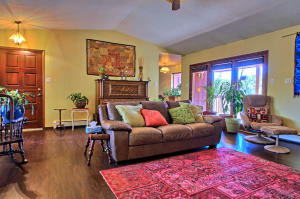 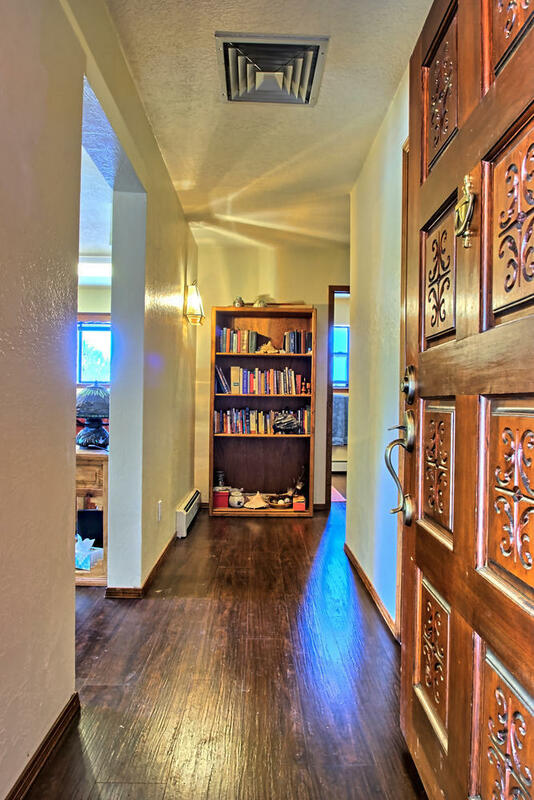 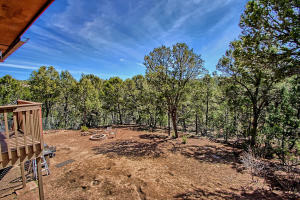 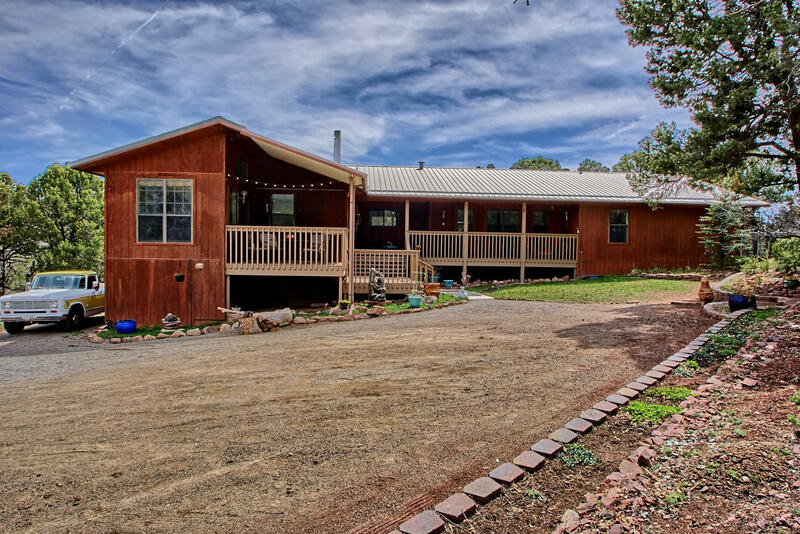 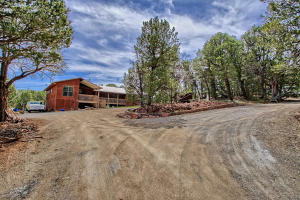 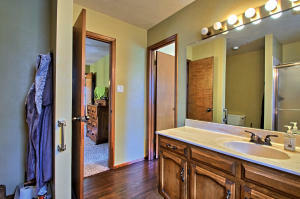 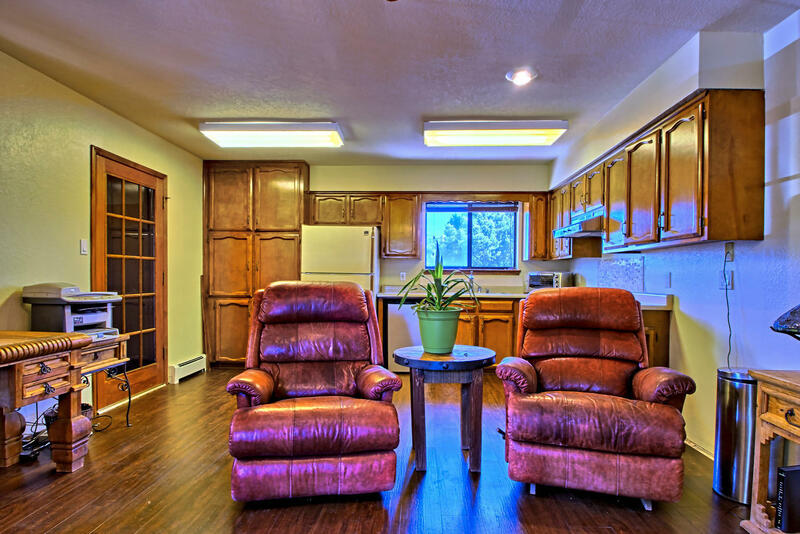 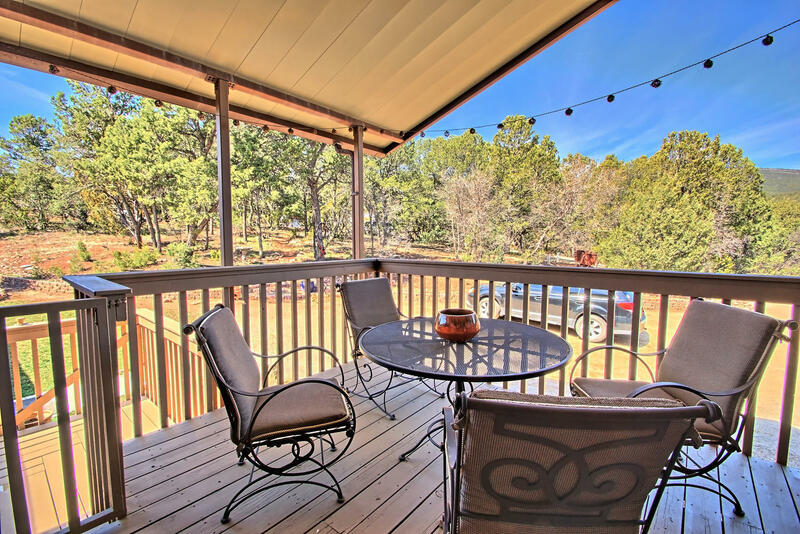 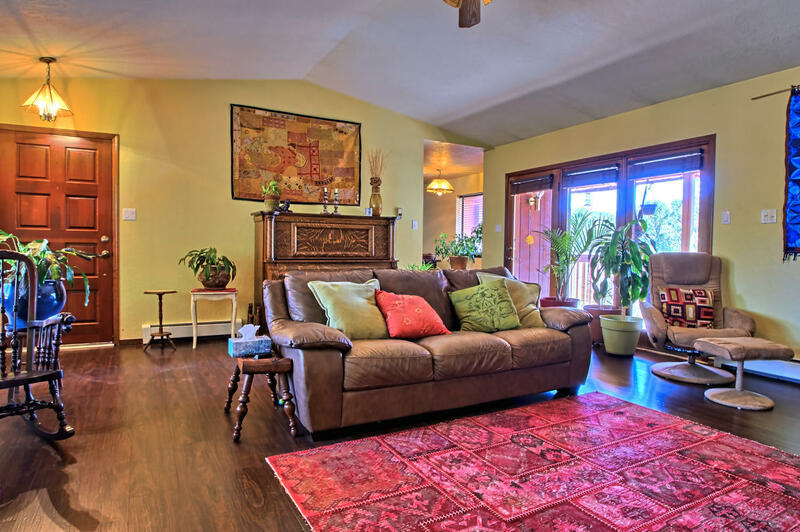 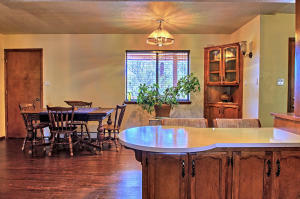 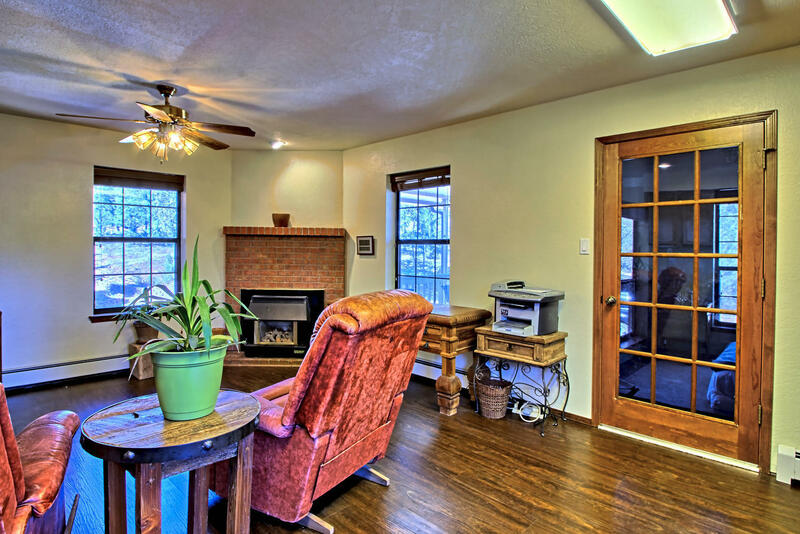 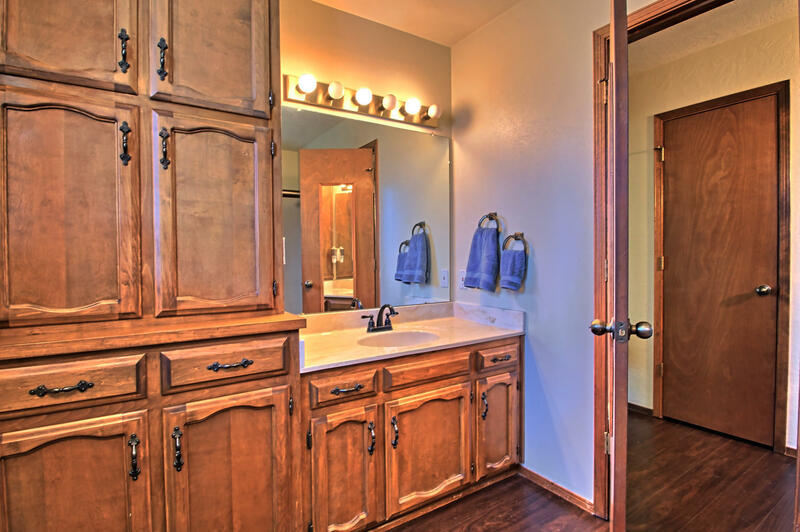 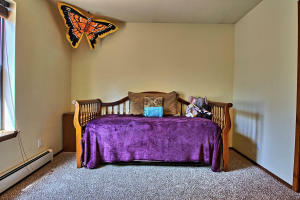 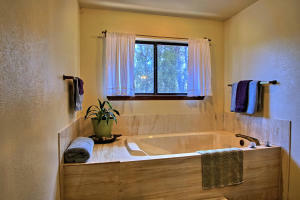 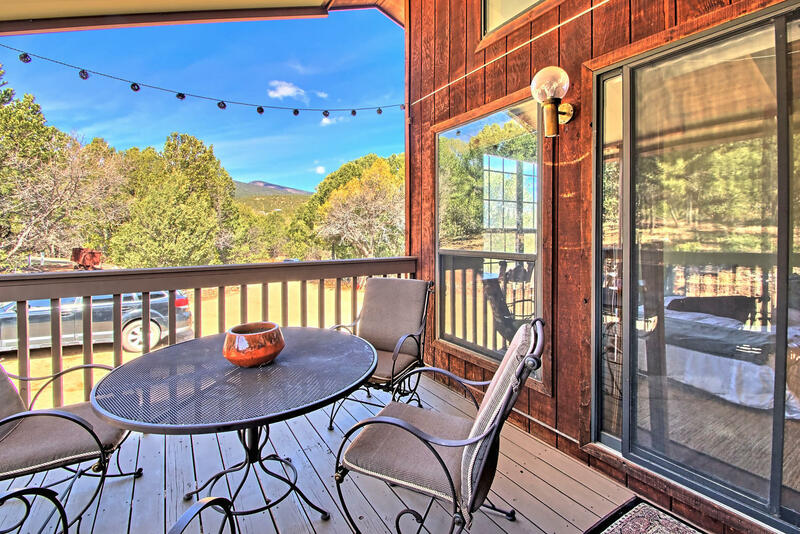 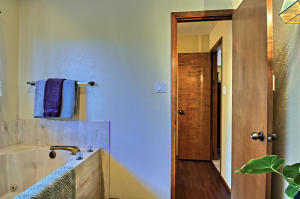 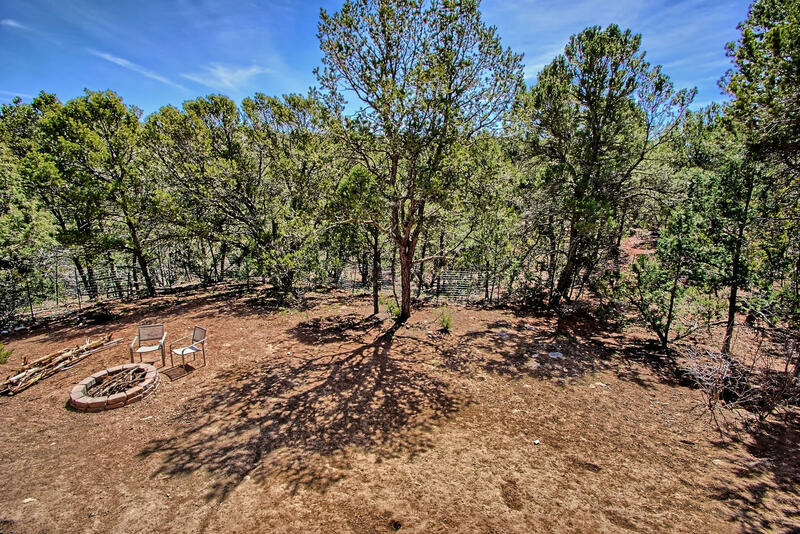 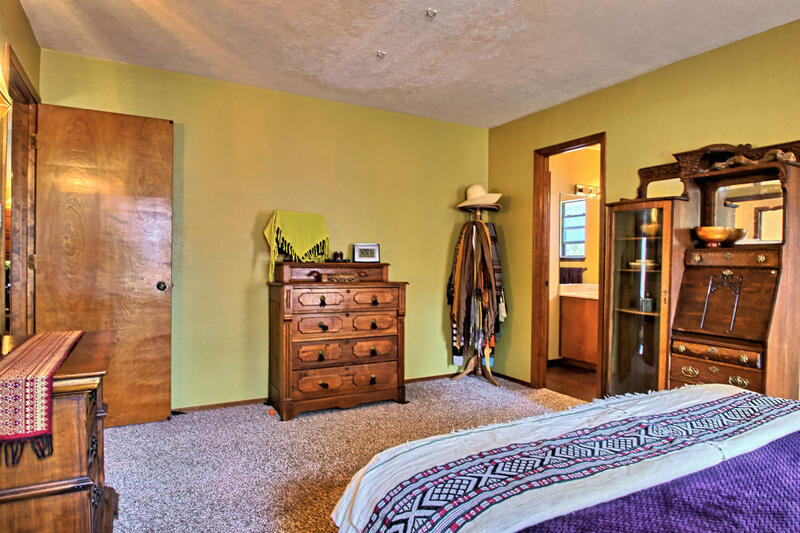 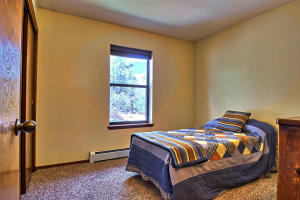 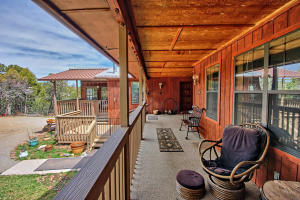 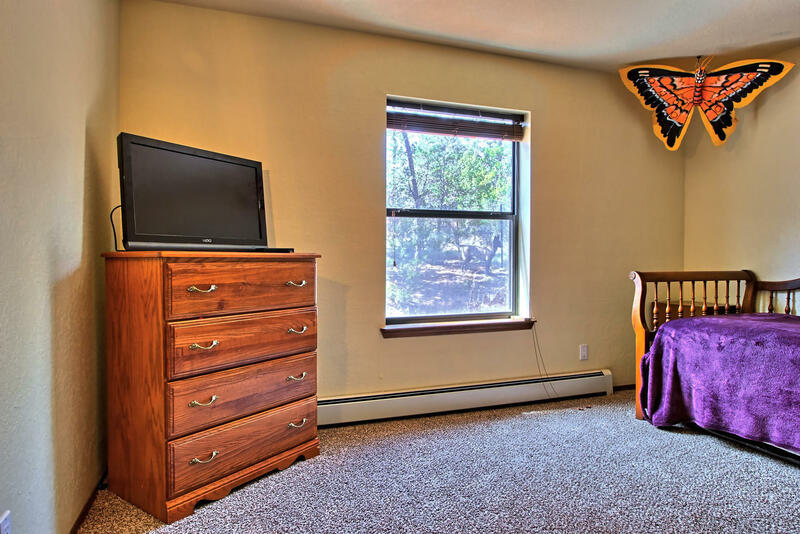 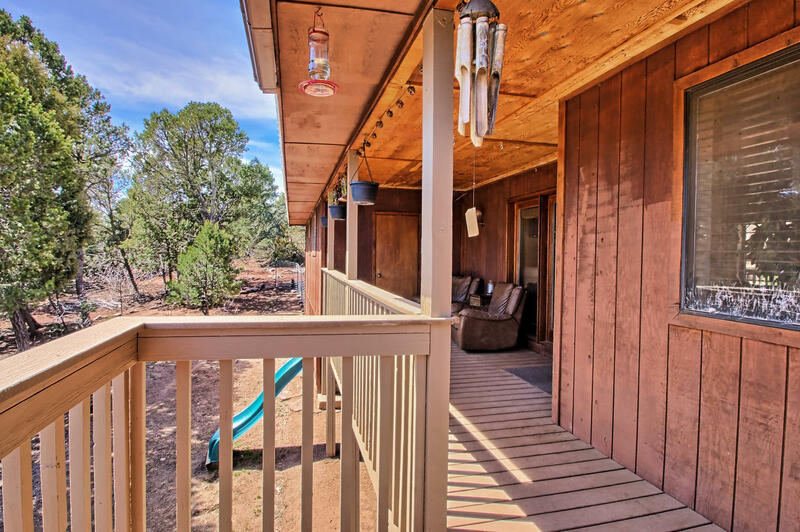 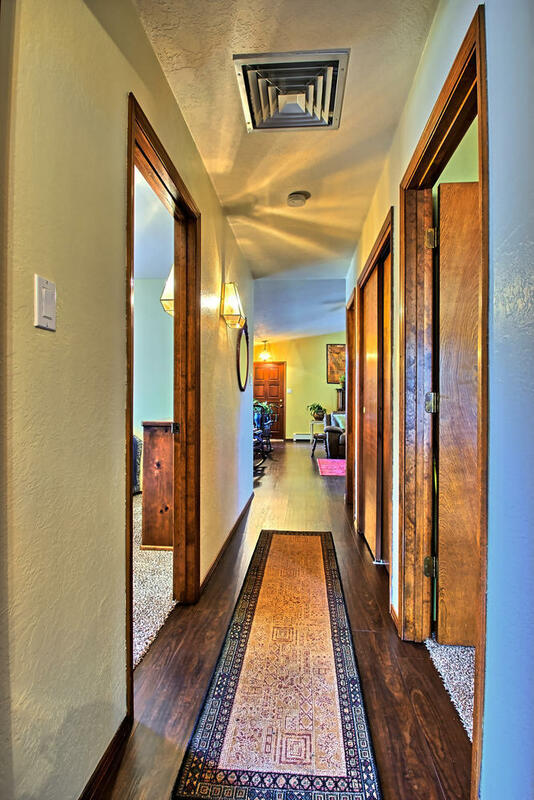 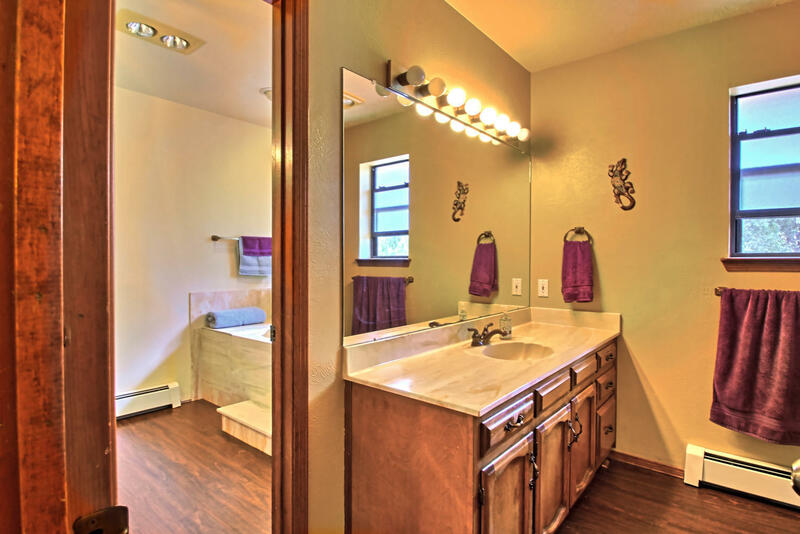 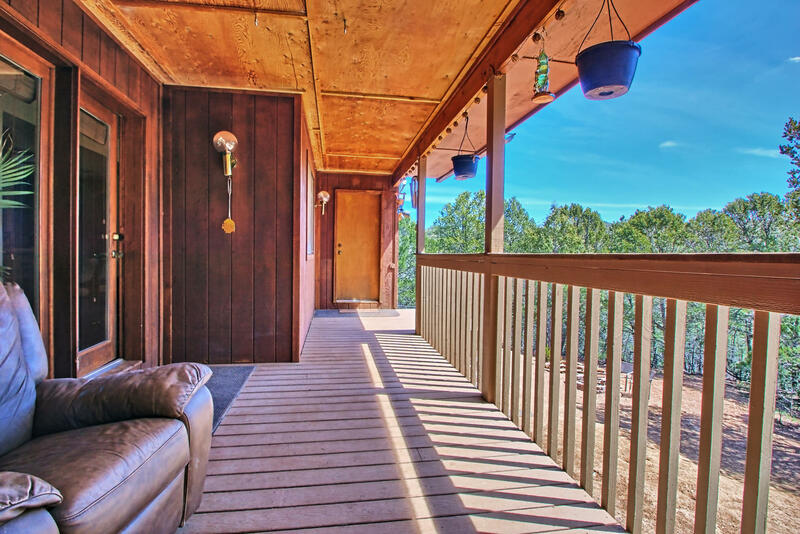 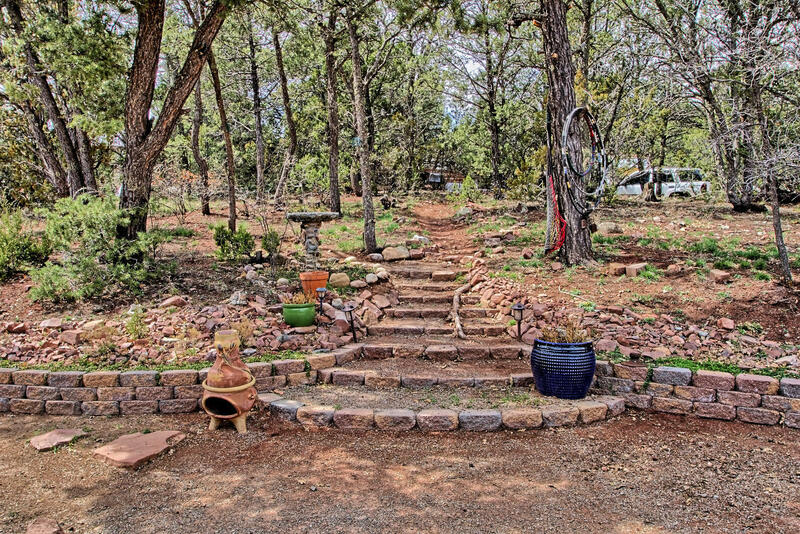 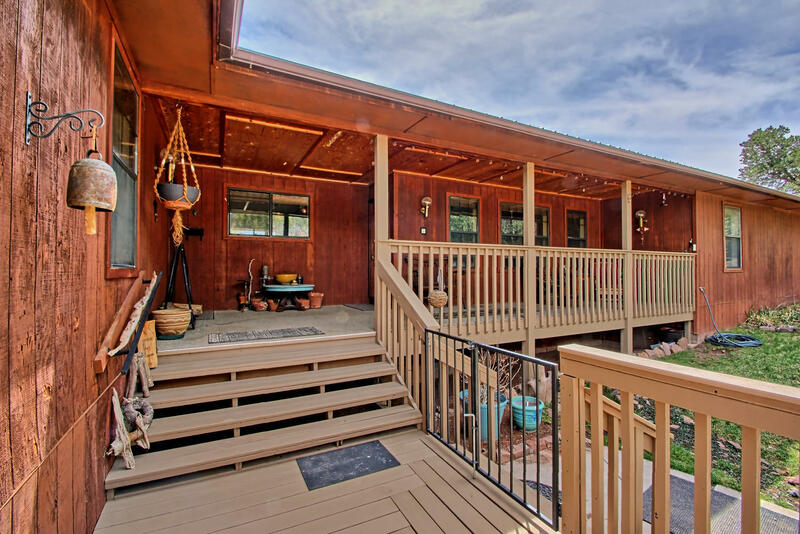 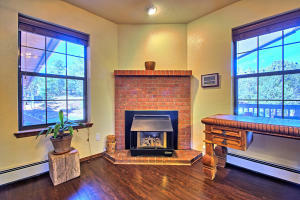 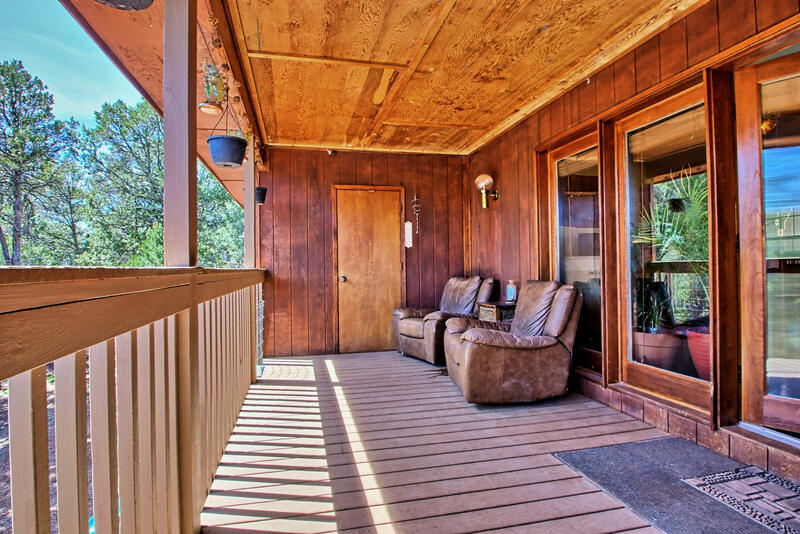 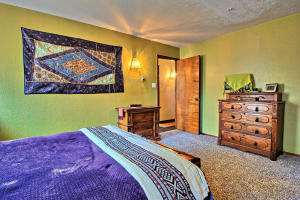 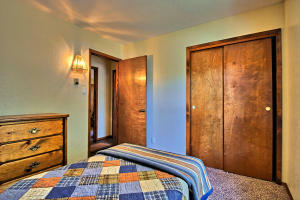 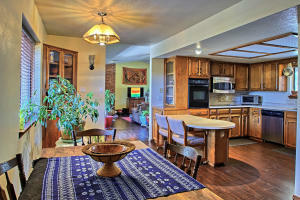 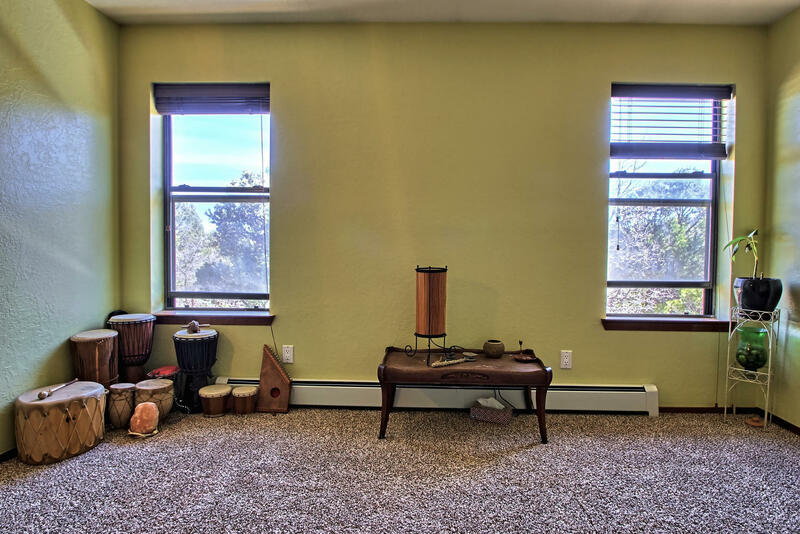 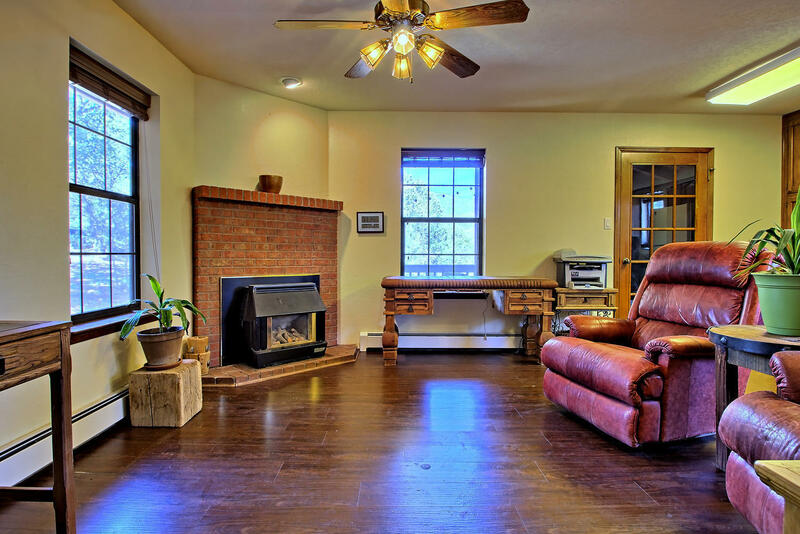 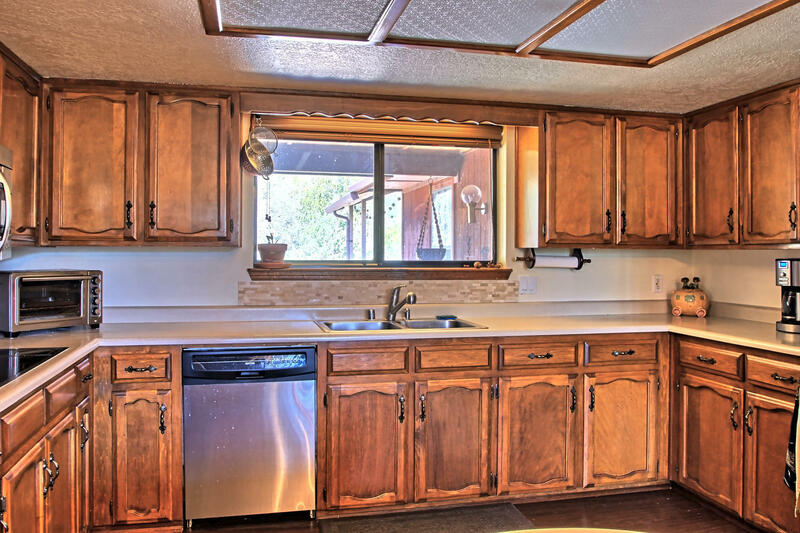 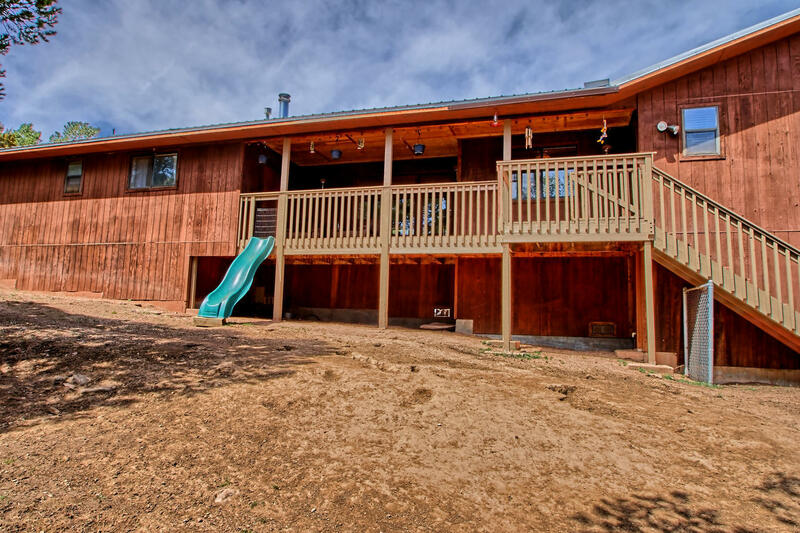 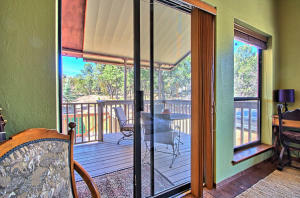 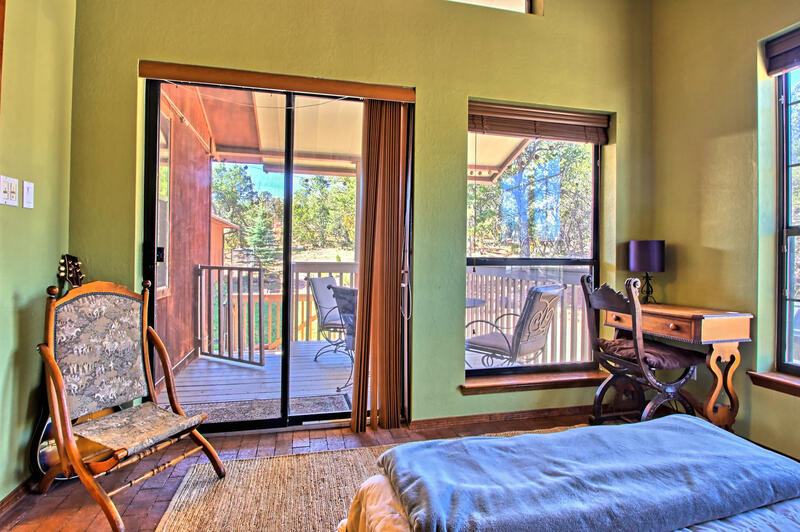 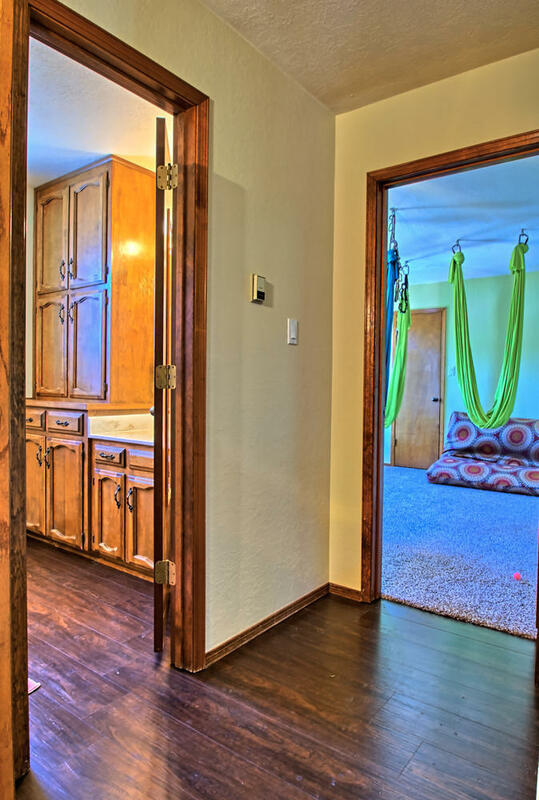 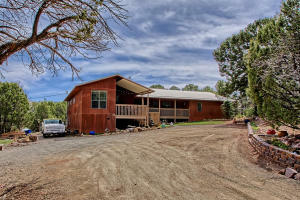 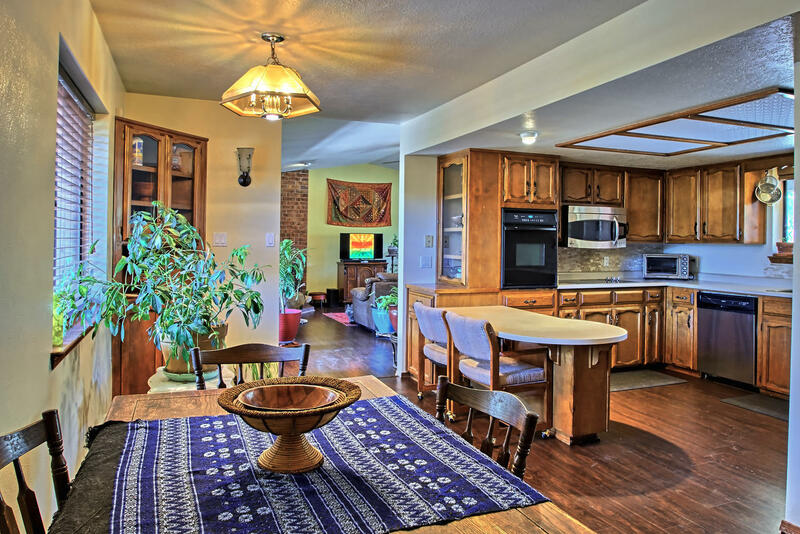 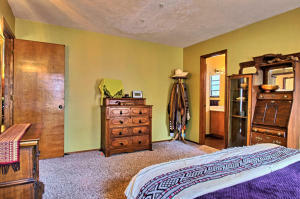 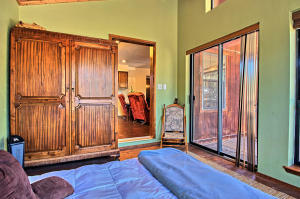 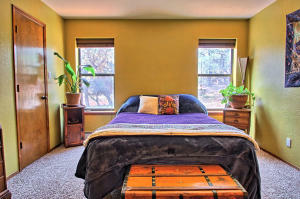 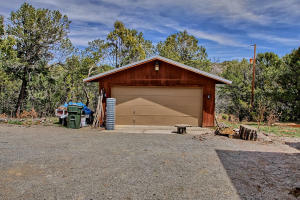 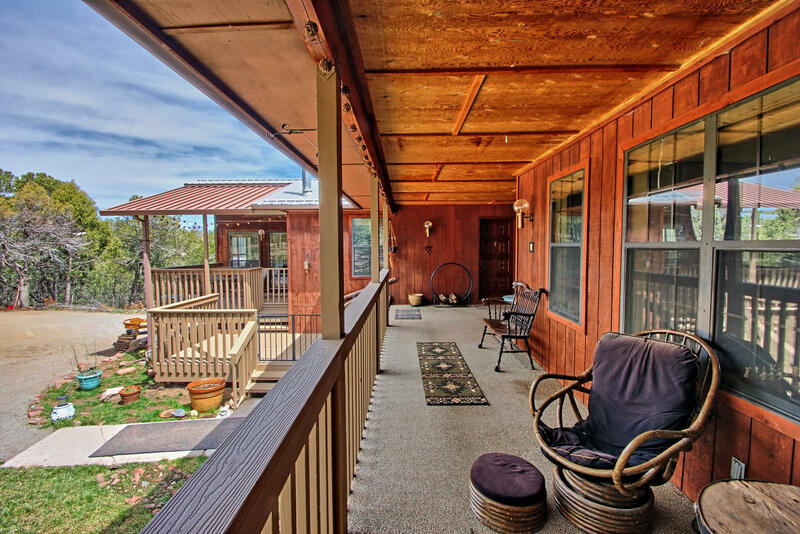 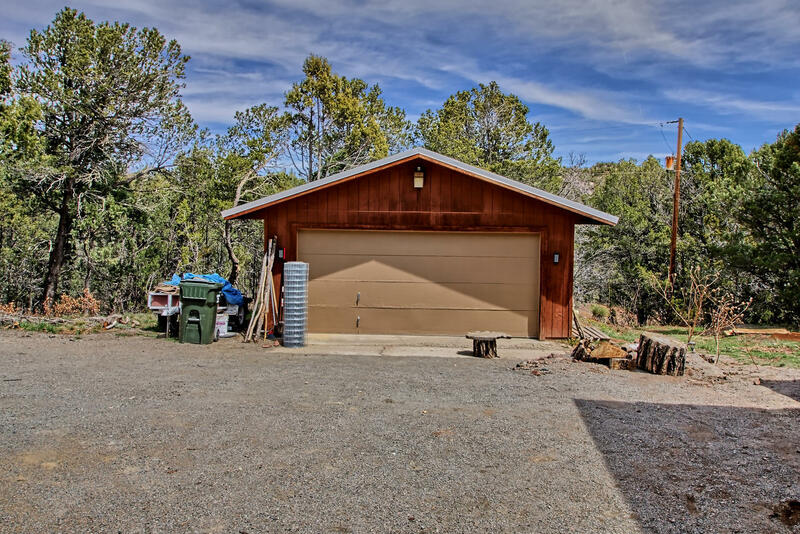 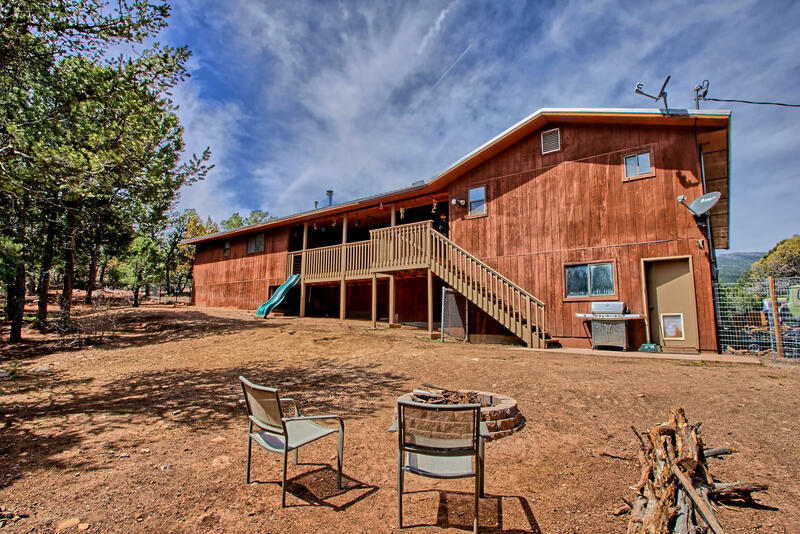 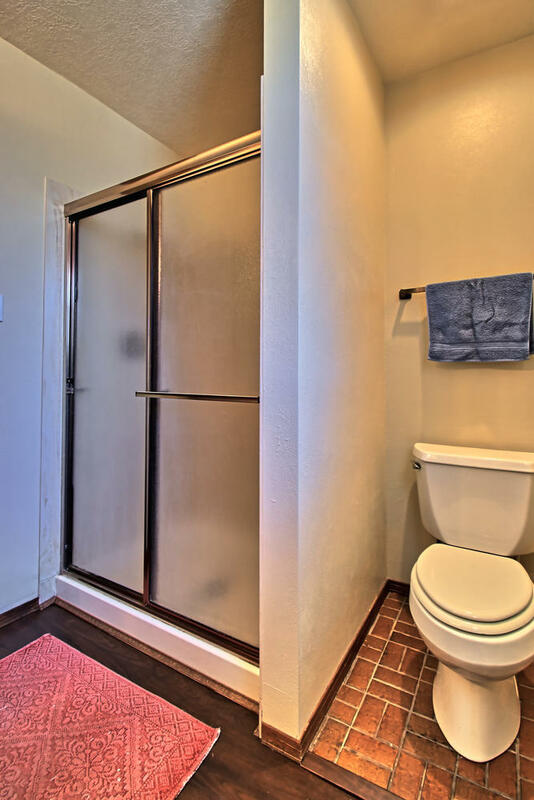 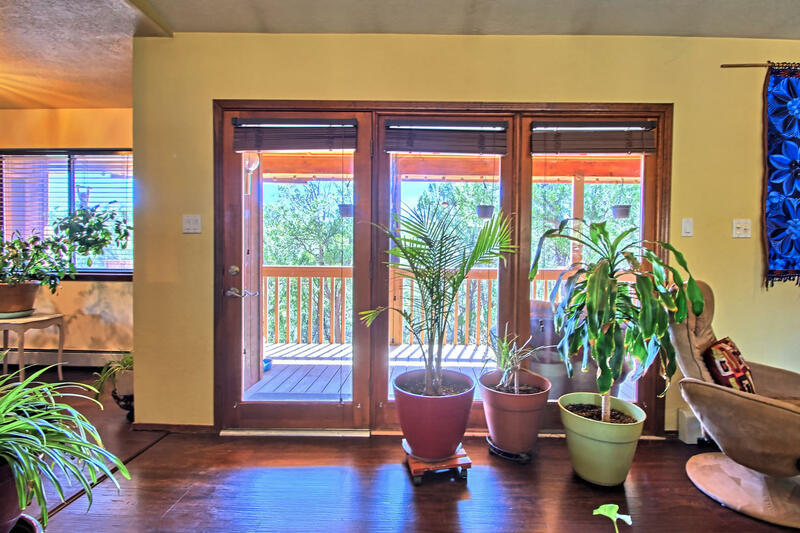 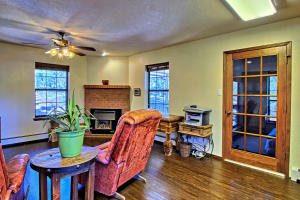 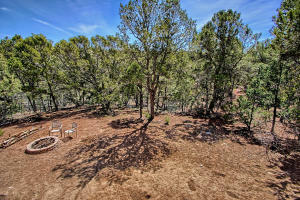 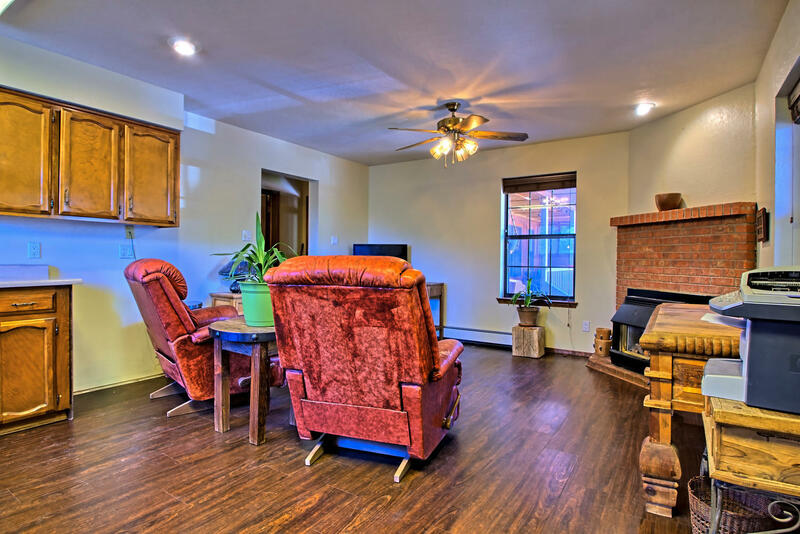 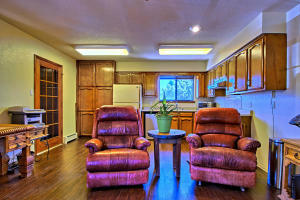 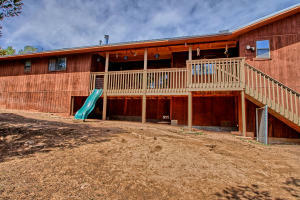 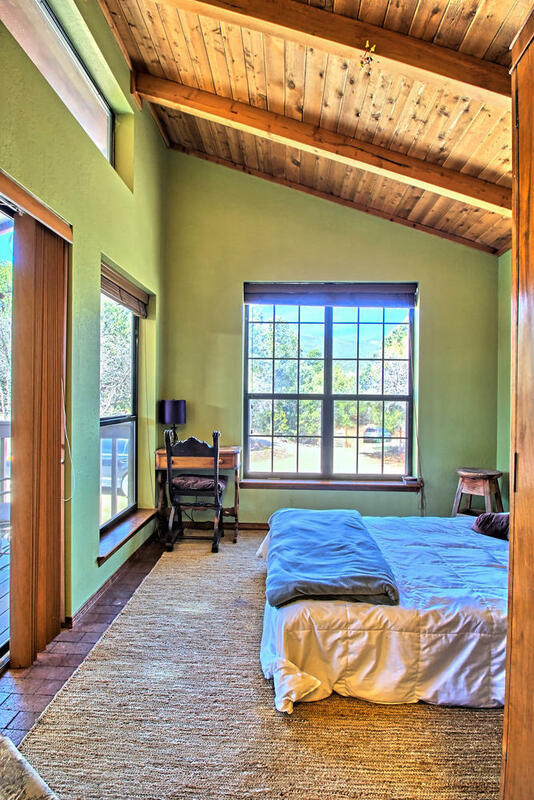 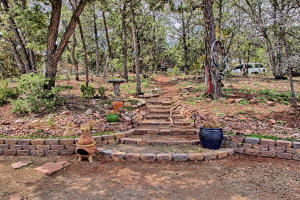 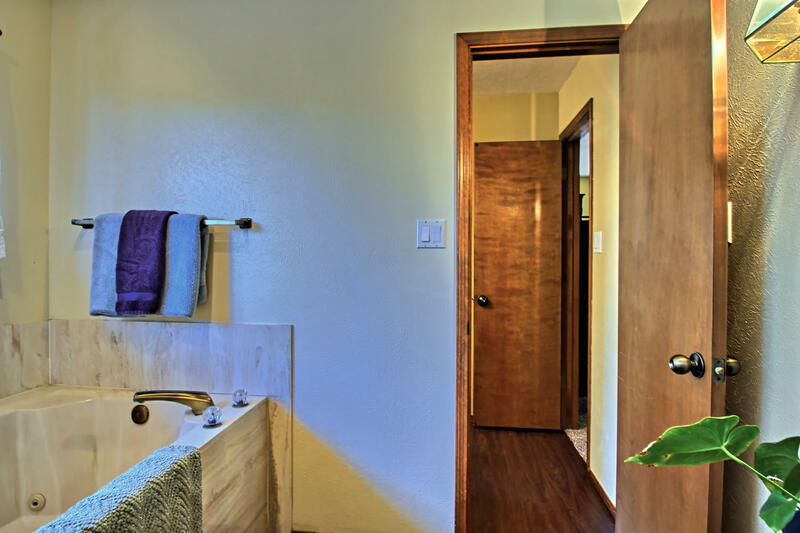 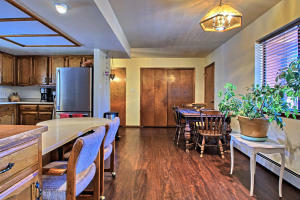 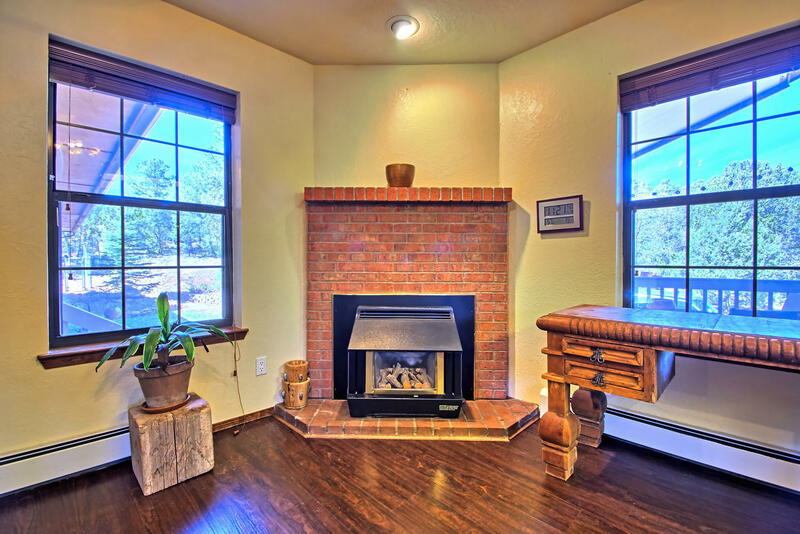 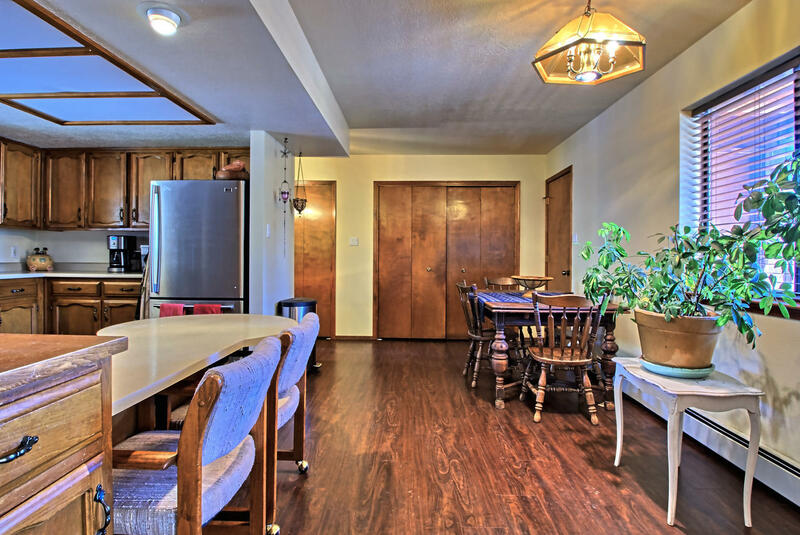 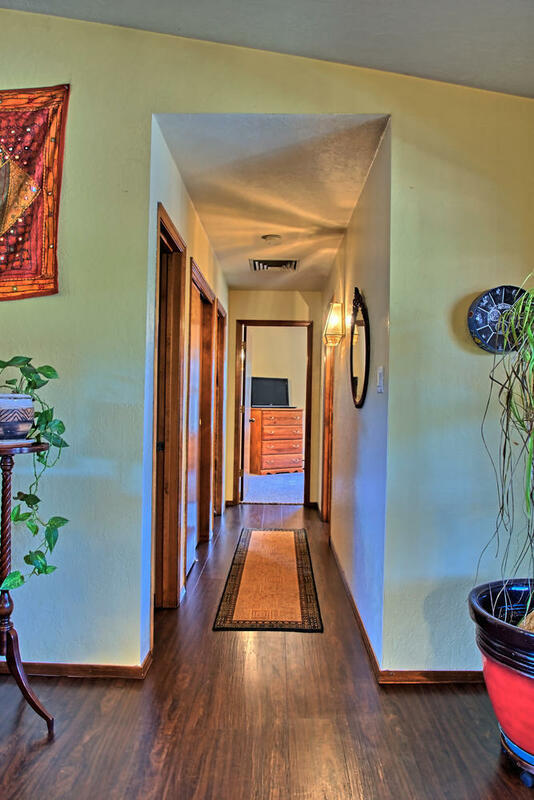 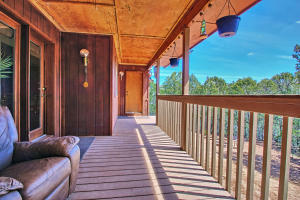 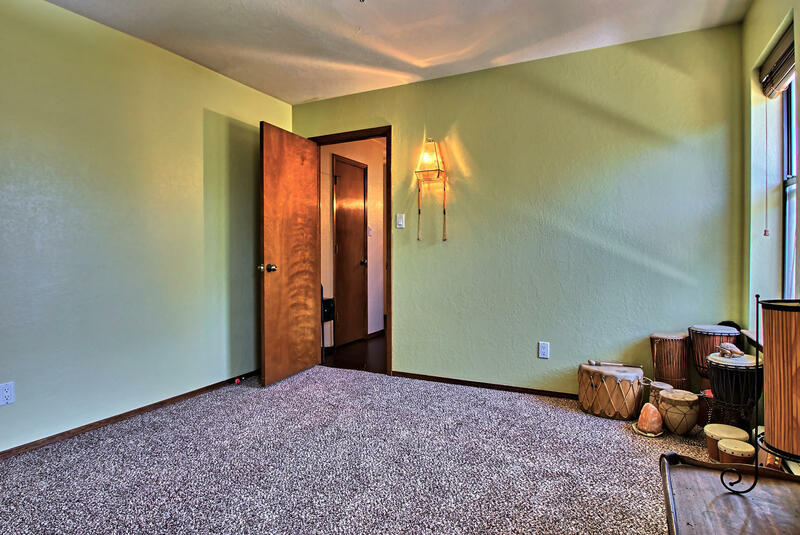 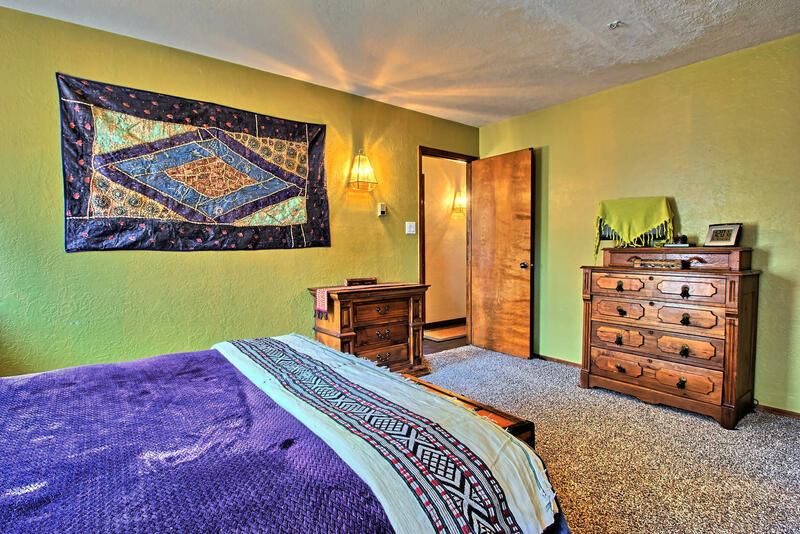 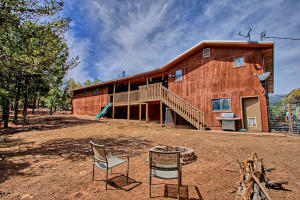 Enjoy MTN Living, only 15 minutes to ABQ!Gorgeous vinyl ''wood look'' high end plank floors! New carpet in the 4 Bdms! 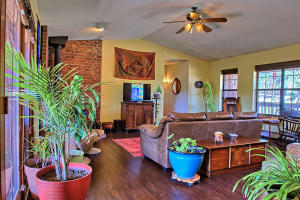 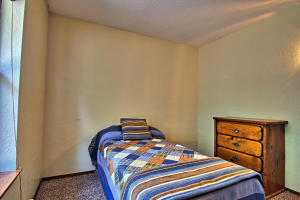 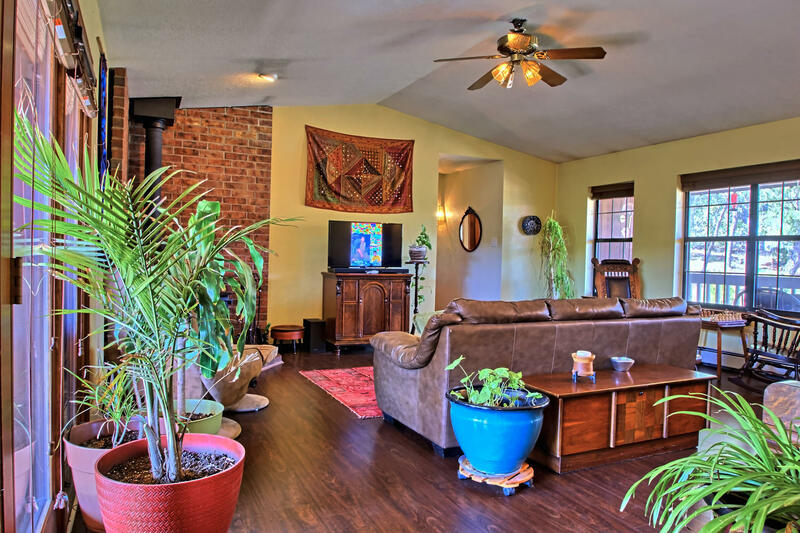 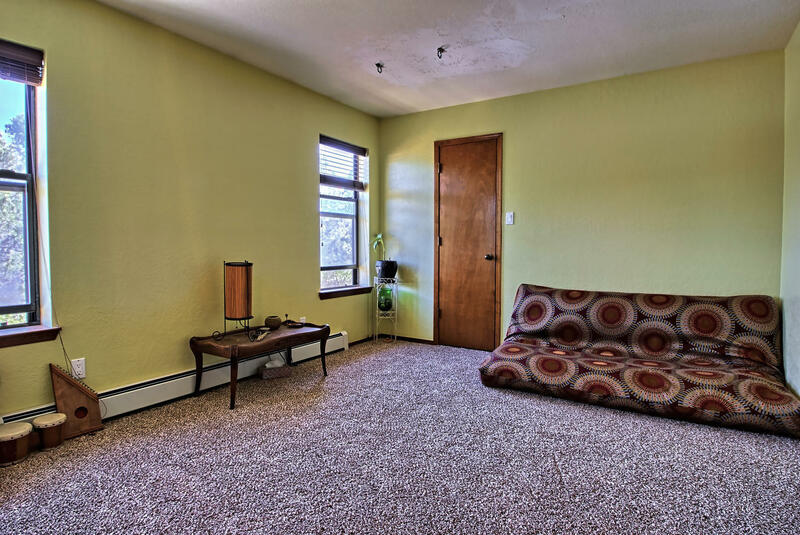 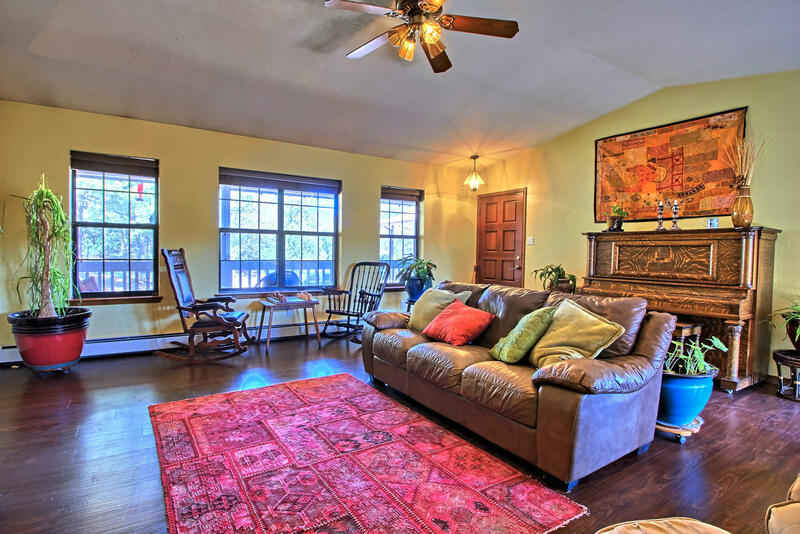 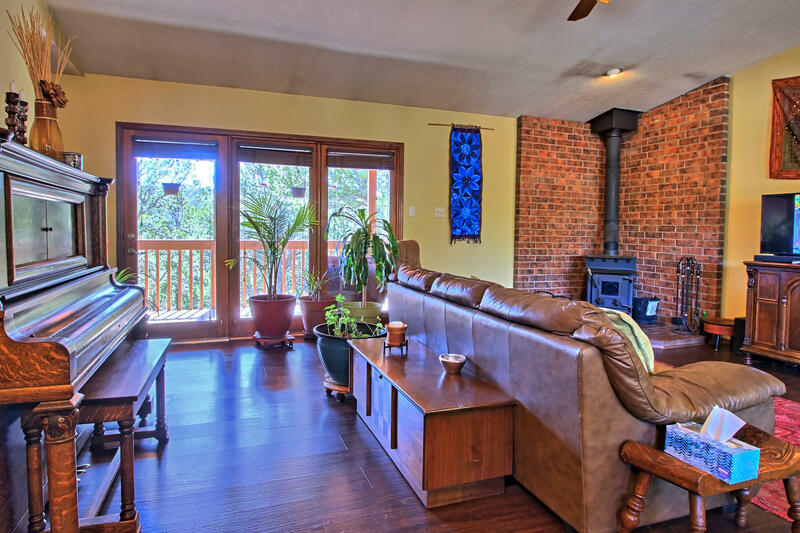 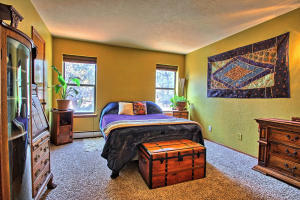 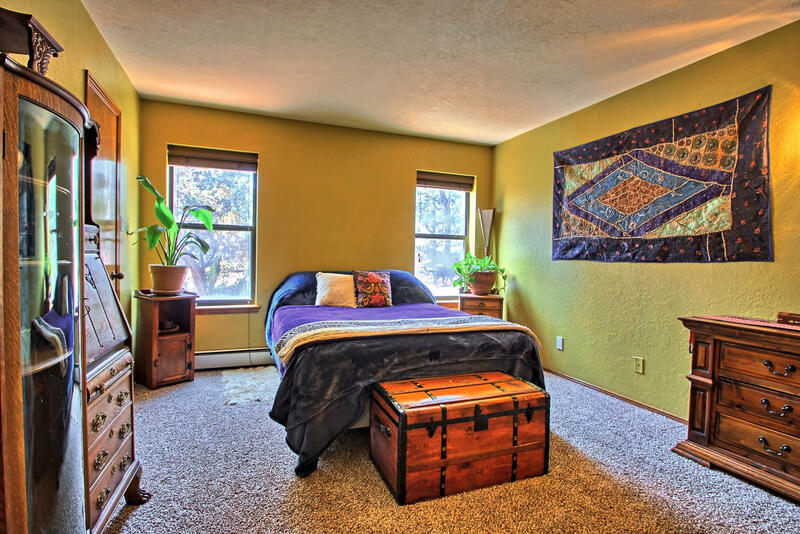 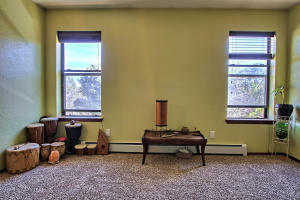 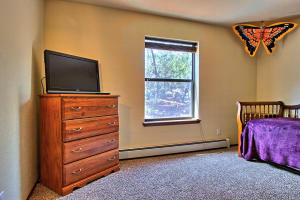 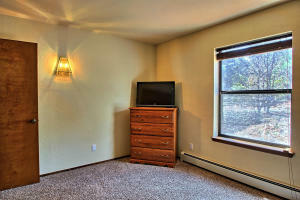 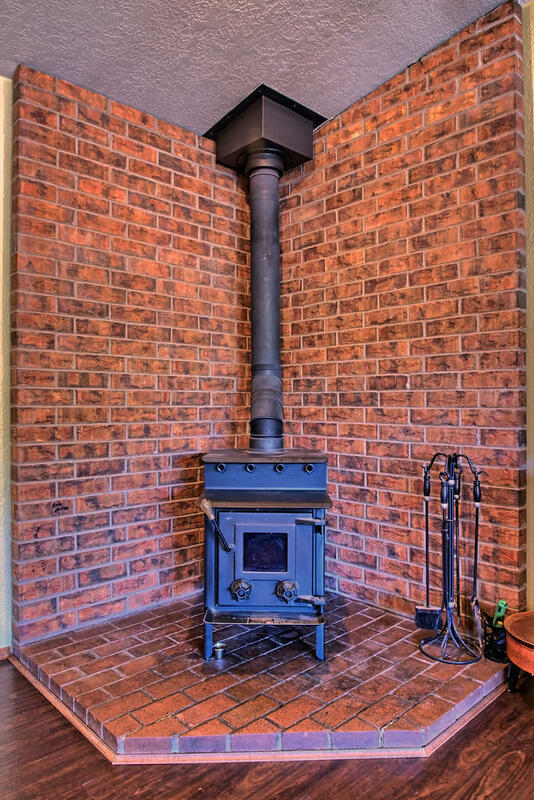 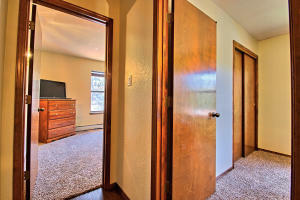 Spacious living area welcomes you/cathedral ceiling/brick hearth wood burning energy eff stove! 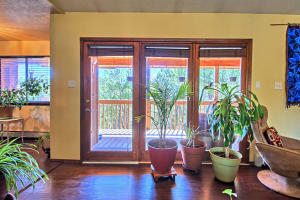 Wall of windows East and West to bring the beauty of the outdoors inside! 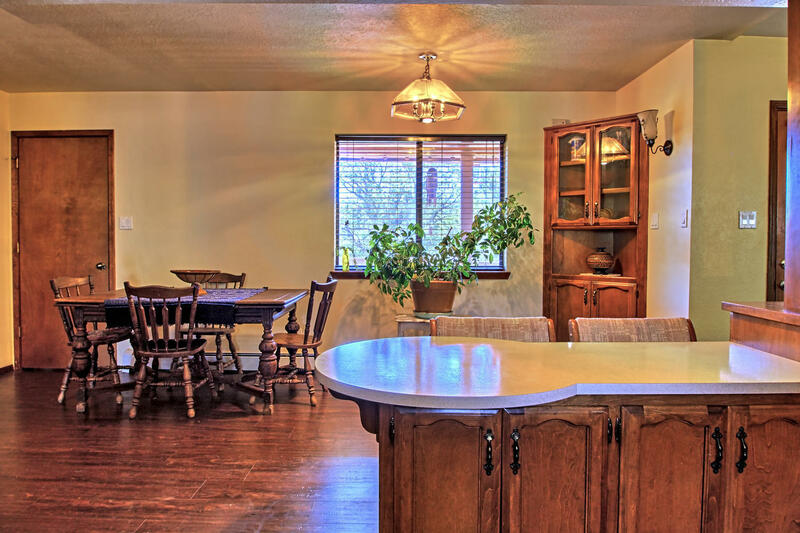 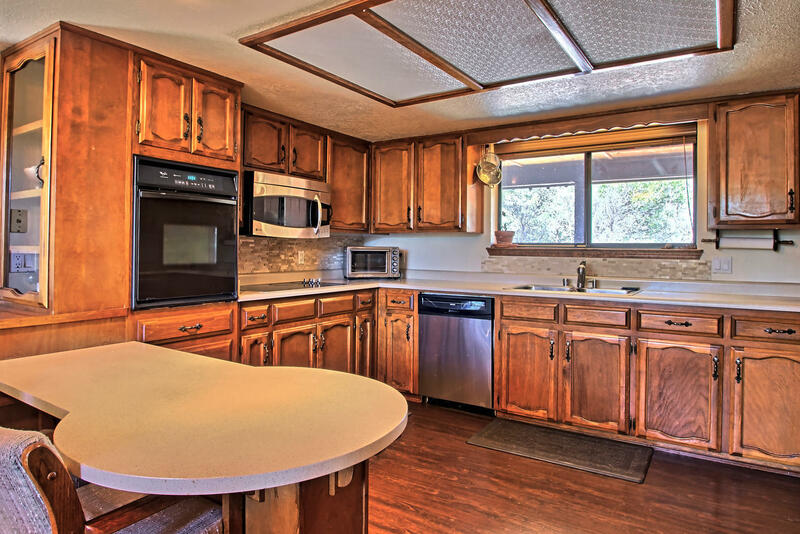 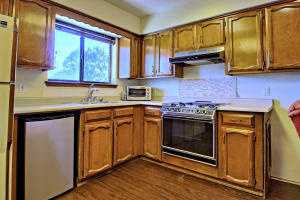 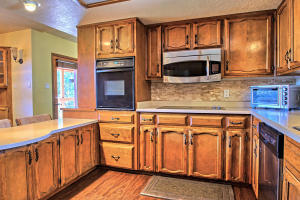 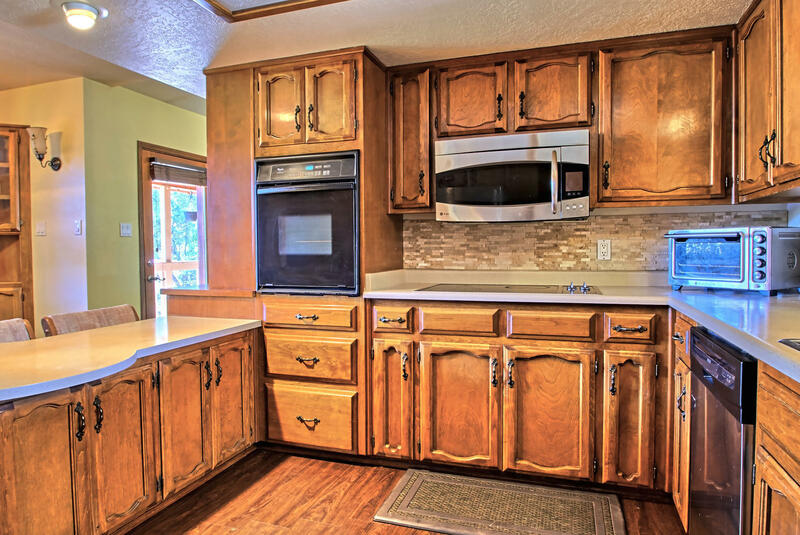 Sunny kitchen with abundant cabinetry, breakfast bar+dining area! 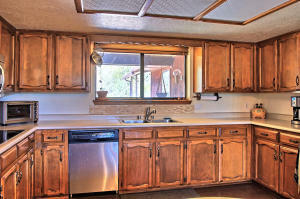 Beautiful travertine backsplash/Refinished counters! 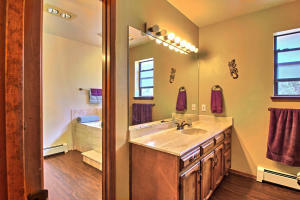 Multi generational living with in law quarters offering living room/kitchen/ private Bedroom/sunroom, could be 5th BR! Huge Decks to enjoy your land! 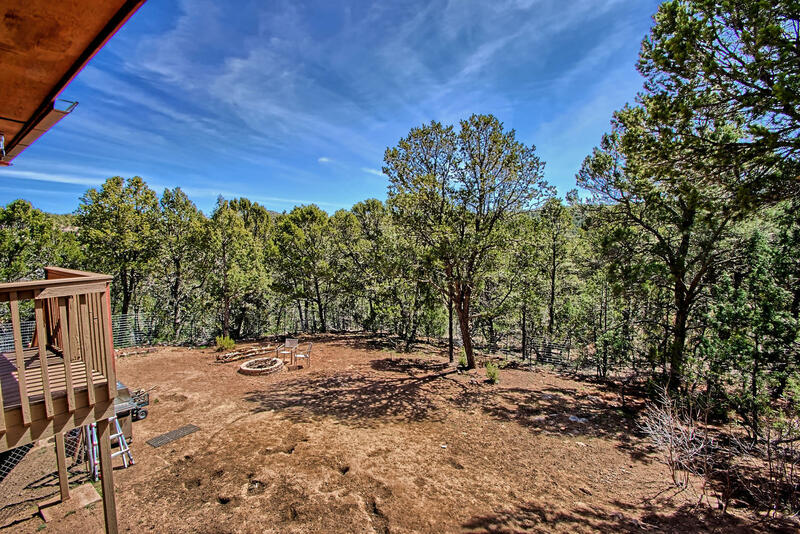 Views of the nearby National Forest! 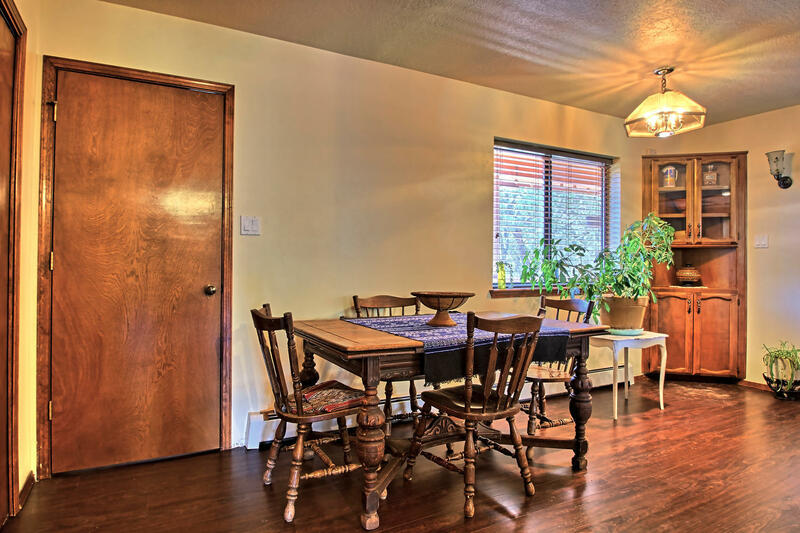 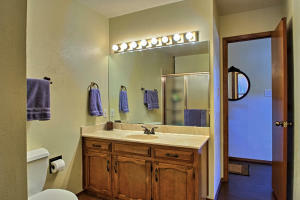 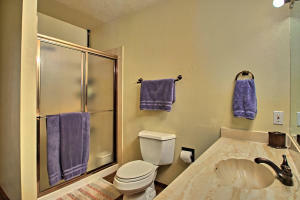 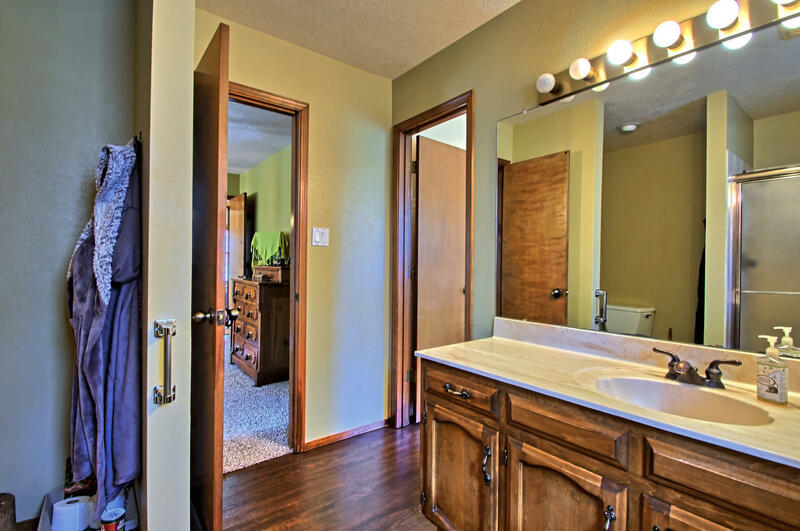 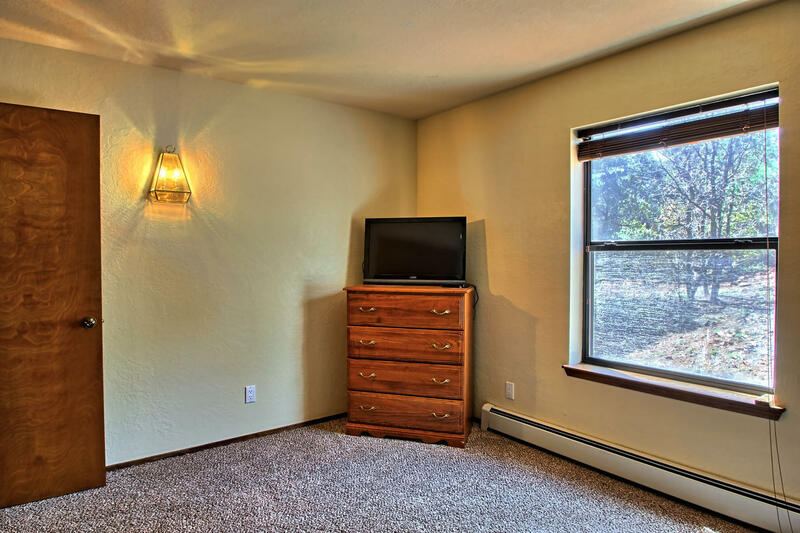 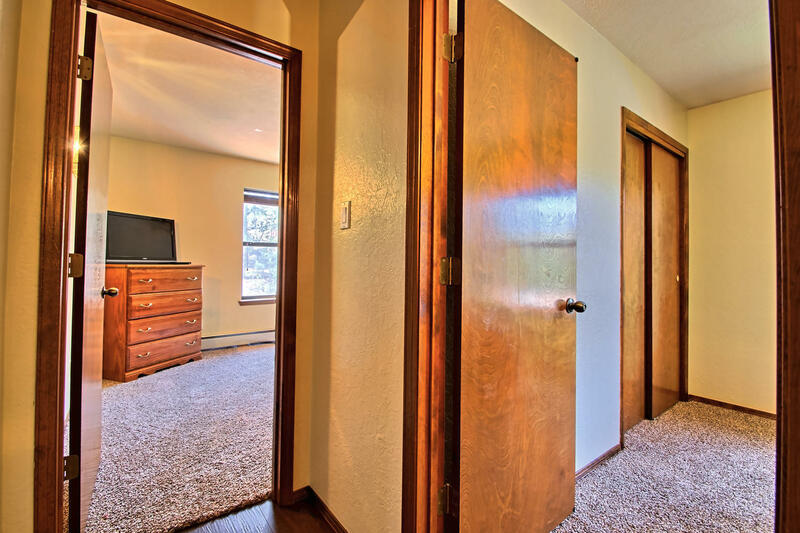 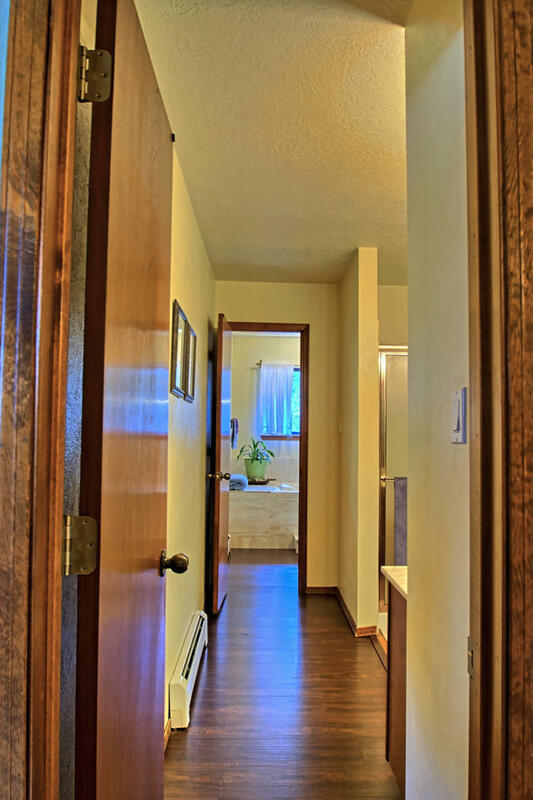 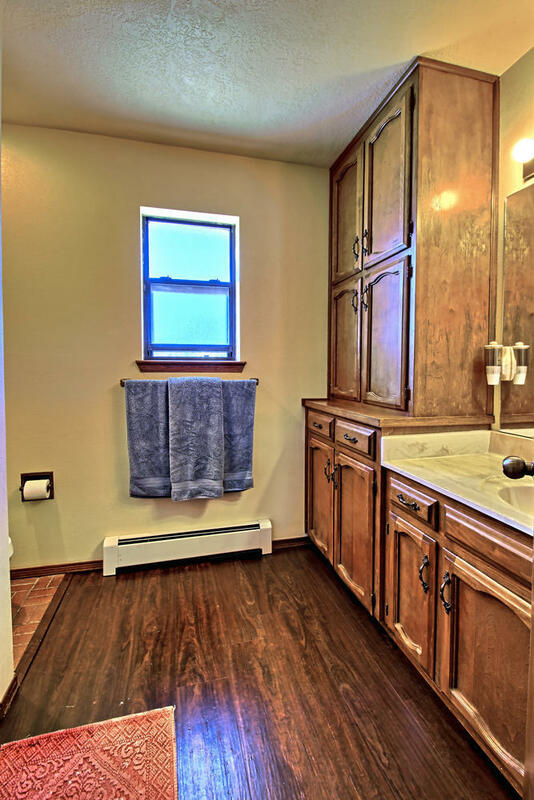 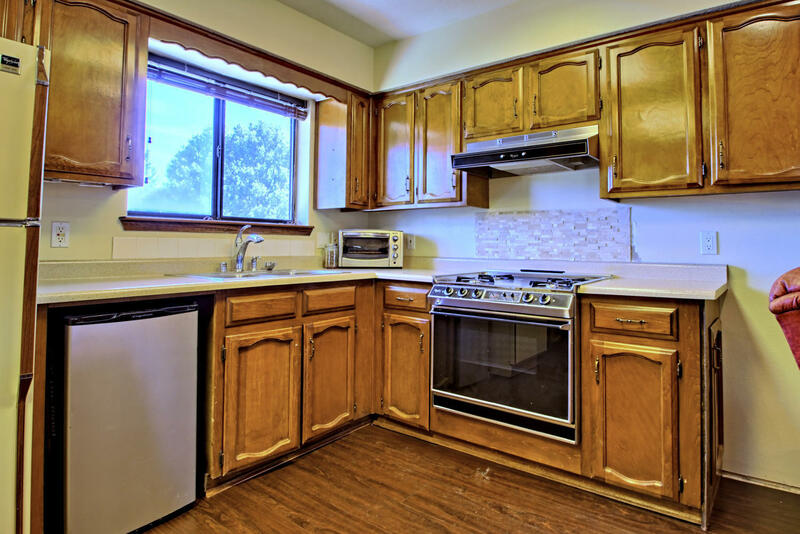 Updated lighting/ fixtures/water heaters/flooring plus more!Home is ideal for Air BnB, rental.